I thought about how the Playstation 2 was officially dead some time ago but I'd be rude and disrespectful not to write any "farewell notices". Yup, I felt this system was a huge leap from the first Playstation. While the first Playstation had a lot of cool games I enjoyed but as said, I always get annoyed by the slow loading times. I couldn't forget how there were times a game would fail to load correctly. 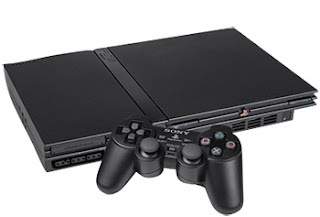 Then the Playstation 2 console came which surprised me with how much power it had before the Playstation 3 came. Aside from better graphics, I could always talk about the amazing memory space that the disks have together with its amazing processor. Marvel vs. Capcom 2 ported into this system after the Dreamcast's death did wonders. Not only did it have the true meaning of crossover tagging but it was better than the arcade experience. I could also remember how Megaman Anniversary Collection contained six NES games, one SNES game and one Playstation game with two arcade games (in contrast to what Megaman Legacy Collection has to offer, seriously CRAPCOM?!) or how Megaman X Anniversary Collection had three SNES games and four PS1 games in one disk. You can't get much better than that for that time, right? I enjoyed a lot of cool games this old system offered back then though some of them aged badly like the 3D Mortal Kombat era. But Mortal Kombat: Shaolin Monks was cool and I hope it gets HD redefined with new features. But still, I can't deny how much power it had and I'm still amazed at it to this very day. I know it's time to get a Playstation 4 if I want to play Tekken 7 (coming out by spring next year) but I'm still amazed at how much power this baby had. Without out, I don't think Sony would know what to do next with the next two Playstation systems.